If there is one thing you must do when you visit Mumbai it is to put all fears aside and try the street food; because, honestly? It’s simply the best street food that you will ever try. I promise you. 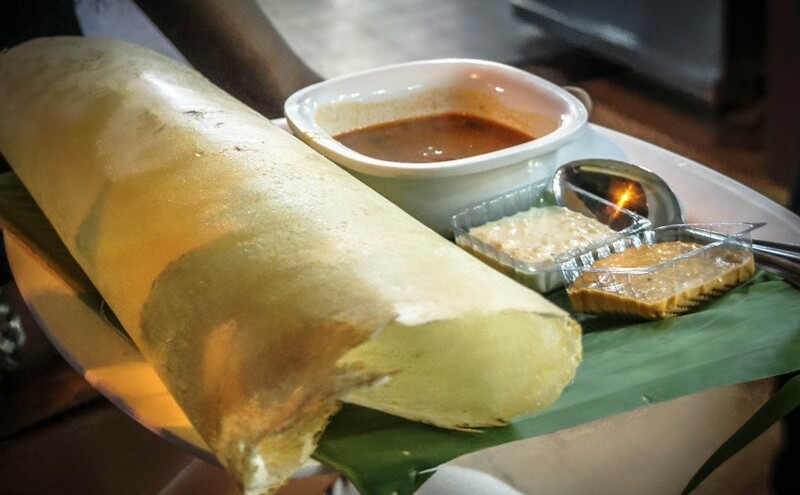 Mumbaikars are exceptionally proud of their street food and there is no shortage of it in the Maximum City; so, in order to see what all the fuss is about I asked a friend to show me where to find Mumbai’s best street food. 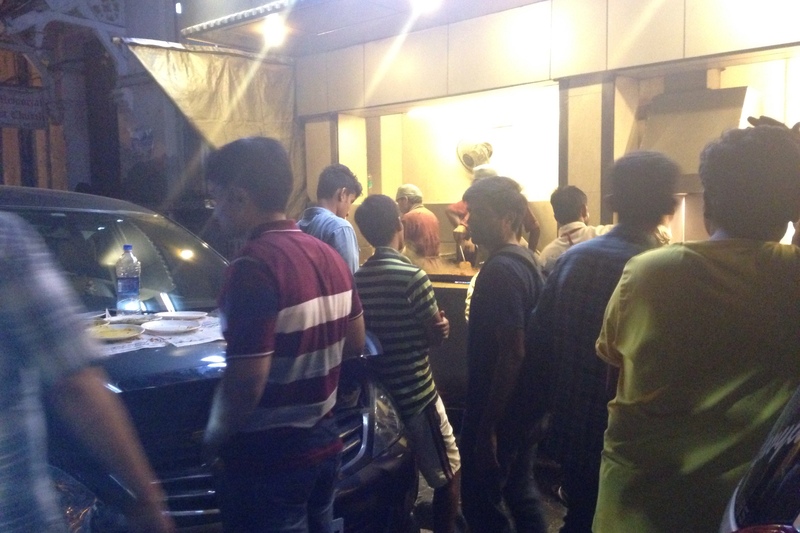 Firstly, street food in Mumbai is best sampled at night. Not early evening, but long after the sun has set over the Arabian Sea and way into the early hours of the morning. When I first heard the sobriquet ‘city-that-never-sleeps’ attributed to Mumbai, I assumed that it referred to an active party scene, yet most bars close before 2am. The city’s partygoers, however, do not go home so early. No, this is when the street food vendors thrive. If you were to walk down Carter Road, Mohammed Ali Road, or the Worli Sea face – to name just a few – anytime between midnight and sunrise, then you will be confronted by crowds as busy as in the middle of the day. And not just drunken teens either (there is very little public drunkenness in India), but entire families complete with grandparents and babies. There are more than a few young lovers too, revelling in the only privacy that Mumbai affords. The second factor (I’ve been told) is that the Mumbai street food scene is best enjoyed during monsoon, mainly because locals love the cooler temperatures and refreshing rains that monsoon brings. So, with these two factors in mind I jumped into my friend’s car at 10.45pm on a rainy August night in order to experience her Bombay. 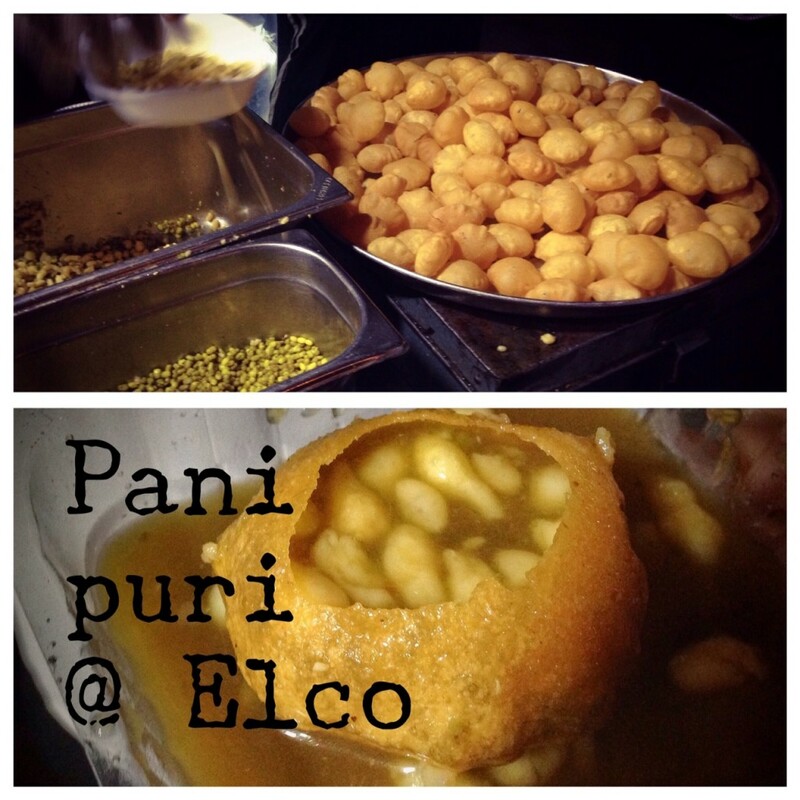 It took around an hour to reach our first eatery, Elco, a place renowned for pani puri, crispy cases filled with spiced potato, chickpeas, chaat masala, and doused in fiery tamarind chutney. Elco claims to use bottled water in their chutney, making it a good venue for foreigners. Pani puri is a gustatory delight that should be consumed in a single mouthful. The delicate cases are conveniently bite-size so that you get the whole experience in one solitary, incredible, bite. The vendor will not spoon the chutney into the case until you are ready to consume, which you do right in front of the counter, and he will only fill one case at a time. Pop the whole pani puri into your mouth and crack the shell to release a torrent of spiced chutney just before the sweet tang of the potatoes enters the fray. It’s a beautiful thing. If this procedure is not followed correctly and the chutney served too early, then the case will become soggy and fall apart. 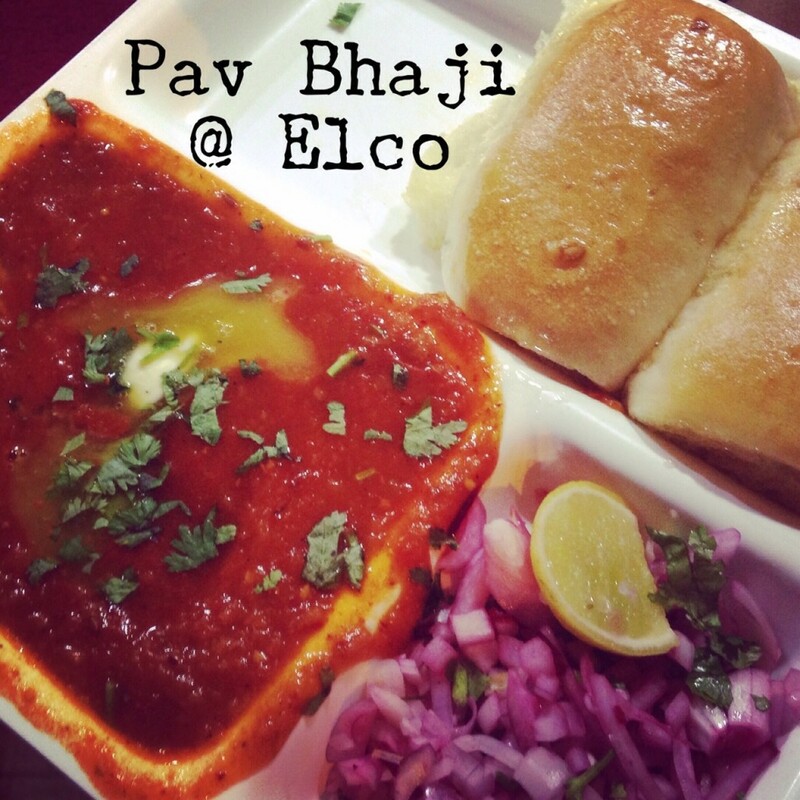 While we were at Elco we also ordered a dosa and, Mumbai speciality, pav bhaji, which were both really good. We needed a food-break after this, so we went along to Carter Road to sit by the sea for a while. There are plenty of street food places on the roadside, but eating by the sea wall is forbidden. My friends told me that they spent many evenings of their teens sitting watching the sea at Carter Road. By this time it was almost midnight and as the following day happened to be Friendship Day, we called into a busy bakery to buy a cake, which we ate by the car at the Worli Sea Face – another area where Mumbaikars hang to watch the sea. Here we also stopped at a milk bar for strawberry milk—another Mumbai favourite. I don’t have a picture of this because it was raining heavily, so we parked up the car and a waiter ran out to take our order. We reached our final foodie destination around 1.30am, still far too early by my friend’s reckoning. 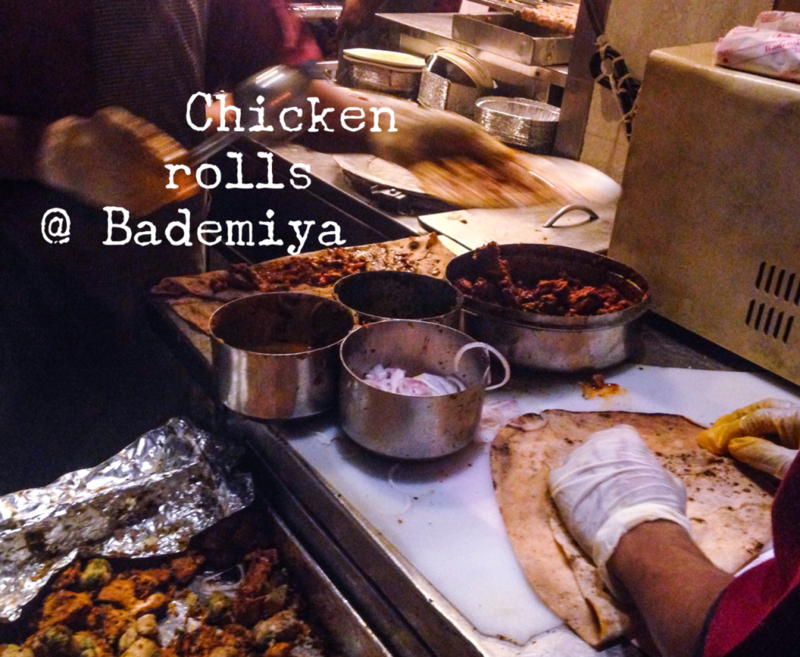 Nevertheless, popular eatery Bademiya was already doing a roaring trade. Despite Bademiya being a simple street-stall, the street was packed with hungry customers and men running around taking orders. Only Mumbai could have a street food venue with waiters! Using parked cars as tables, customers filled the street, eating casually and laughing in groups. My friend told me that Bademiya would still be this busy when the sun came up. It took a while to get our food, but before long we were tucking into juicy chicken tikka wrapped in roomali roti – a delicately thin bread wrap. It was hot, spicy, and delicious. My only complaint is that I was not hungry enough to try more of their dishes. I’ll be writing more about Mumbai Street Food in later posts, so if you have any recommendations for great food in the city let me know in the comments and I’ll go and check it out! 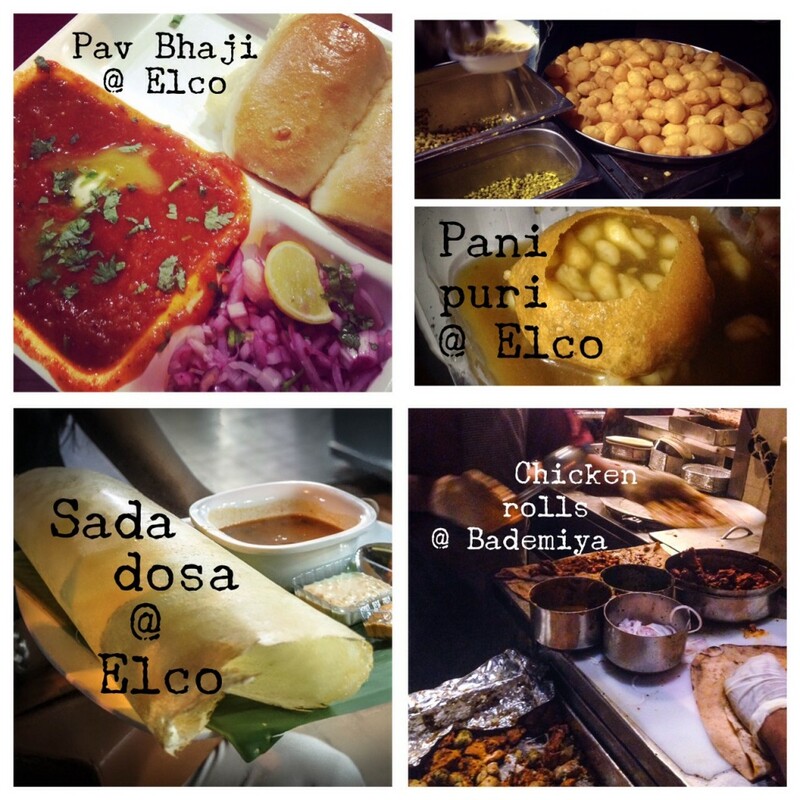 Have you tried street food in Mumbai, or elsewhere in India? Which city do you think has the best street food? Copenhagen: Is it Europe’s Coolest City? 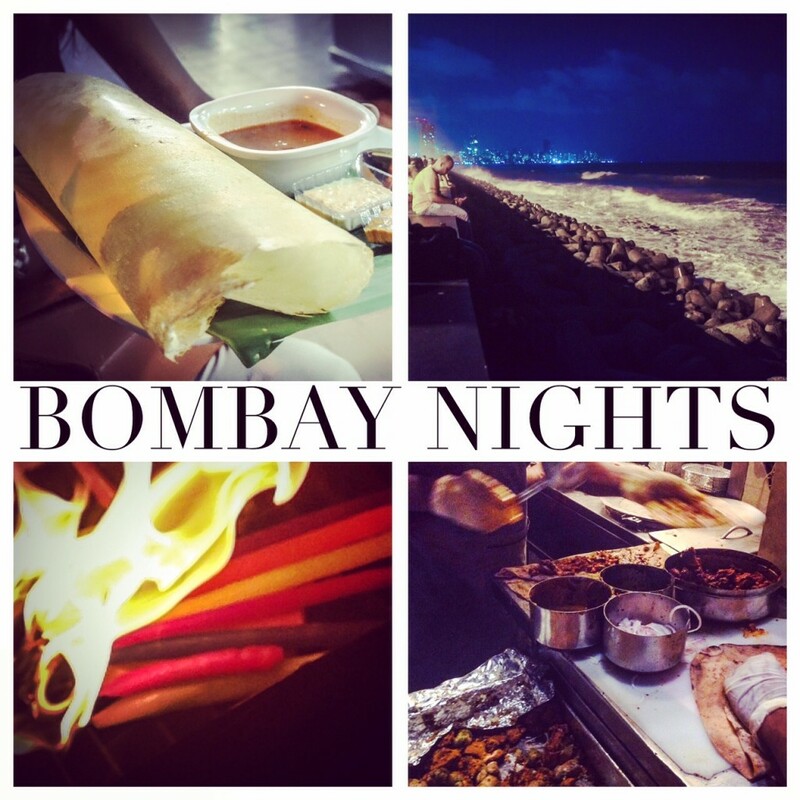 Mumbai itself is not a highlight of India (IMO), but the food is simply the best! !